Hola a todos explicare mi experiencia con respecto a un issue que ha sido reportado y publicado posteriormente por Microsoft, espero que les sea de ayuda en sus futuras implementaciones de Lync 2013. 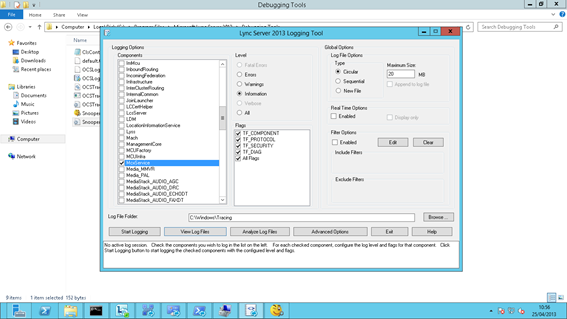 Escenario: Tenemos una infraestructura local de Lync Server 2013 sin acceso al exterior y sin conectividad a internet para los servicios de movilidad, meet, dialin (proxy inverso) y/o edge server. Los servicios de movilidad para Lync 2013 han sido activados y se dispone de una Wifi corporativa para que los teléfonos Smartphone de Android con el cliente Lync 2013 puedan acceder desde el móvil para interactuar con la plataforma. 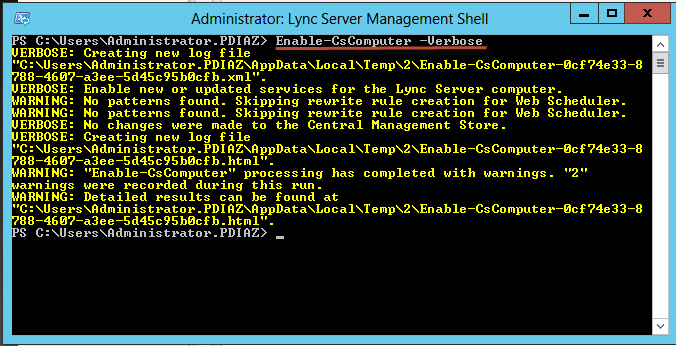 Sin embargo al instalar el cliente Lync 2010 Mobile la sesión se inicia sin ningún problema. Diagnostico: Viendo el problema y teniendo en cuenta que efectivamente no se trataba de un error común procedí a realizar un snooper de la infraestructura específicamente en el servidor de FrontEnd, se logro comprobar que haciendo login con el cliente Lync Mobile 2013 no llegaban sesiones de intento de login al FrontEnd sin embargo con el cliente Lync Mobile 2010 si habían sesiones de login (inicio de sesión) . I’ve run into this exact problem with the Lync 2013 Mobile clients not working on corporate wifi but Lync 2010 Mobile clients did work. In fact, I helped someone fix this exact problem yesterday. 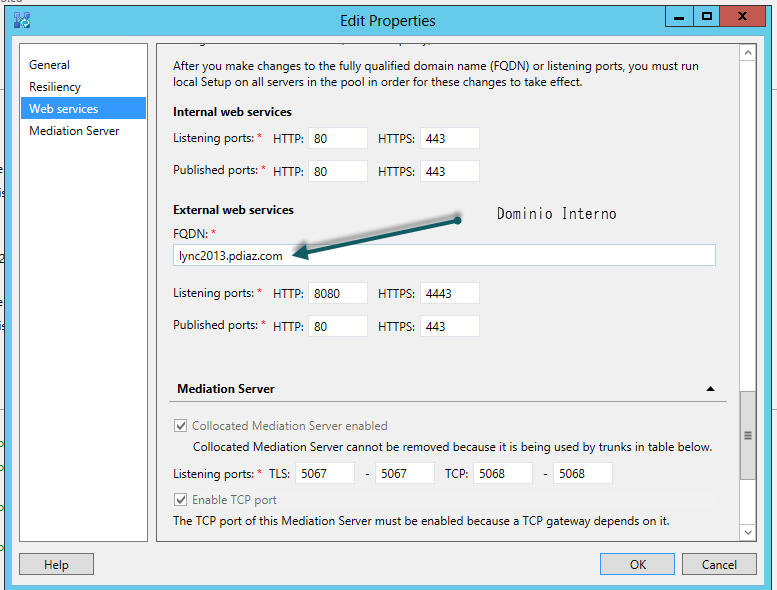 Make sure the external web services FQDN located in Internal DNS points to a device that is doing port redirection to 4443. In External DNS, the externalwebfqdn.domain.com would point to the Public IP of the Reverse Proxy. In Internal DNS, the proper method would be to point externalwebfqdn.domain.com to the Public IP of the Reverse Proxy and hairpin the traffic. This would ensure that regardless if the mobile client is on corporate WIFI or Internet, they always end up connecting to the same Public IP and therefore, when the mobile client switches between cellular and wifi, there’s a seamless transition. Some companies would deviate from this practice. These companies would take this FQDN and point it to the Front End or internal HLB that doesn’t do port redirection so MCX (Lync 2010 Mobility) would end up hitting the Internal Web Site on the Front End. I’ve seen this work with Lync 2010 clients just fine but there obviously would be no seamless transition for users when switching between cellular network and wifi due to the IPs of the external web services being changed. 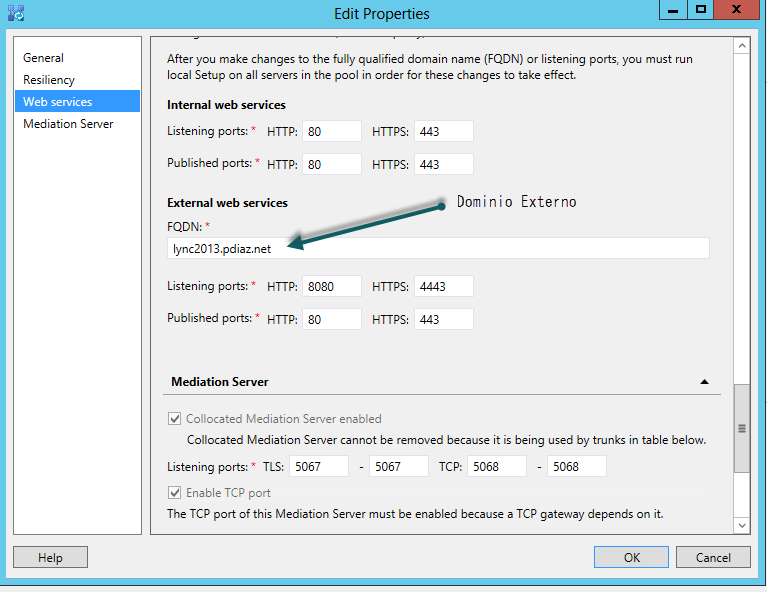 So even though the Lync 2010 mobile client seems to work in the model where the external web services FQDN in the Internal DNS points to an internal facing device that has no port redirection (again, no seamless transition for clients), it appears the Lync 2013 mobile clients (UCWA) are not so forgiving and the external web services FQDN located in Internal DNS needs to point to something that bridges the ports to 4443 properly so it hits the Front End’s External Website on 4443 just like it would happen for Internet Users. I would ensure that the external web services FQDN located in Internet DNS is properly pointing to a device that is doing port redirection so that mobile traffic from the mobile clients on the corporate WIFI ends up hitting the Front End on the External Web Site on 4443. And preferably, for a seamless transition, point both records (in Internet DNS and Internal DNS) to the same Public IP and hairpin for reasons I mention earlier. YA CON ESTO EL PROBLEMA FUE RESUELTO Y LOS CLIENTES LYNC 2013 MOBILE DE ANDROID HICIERON LOGIN (INICIO DE SESION) EN LA NUEVA INFRAESTRUCUTRA DE LYNC 2013. 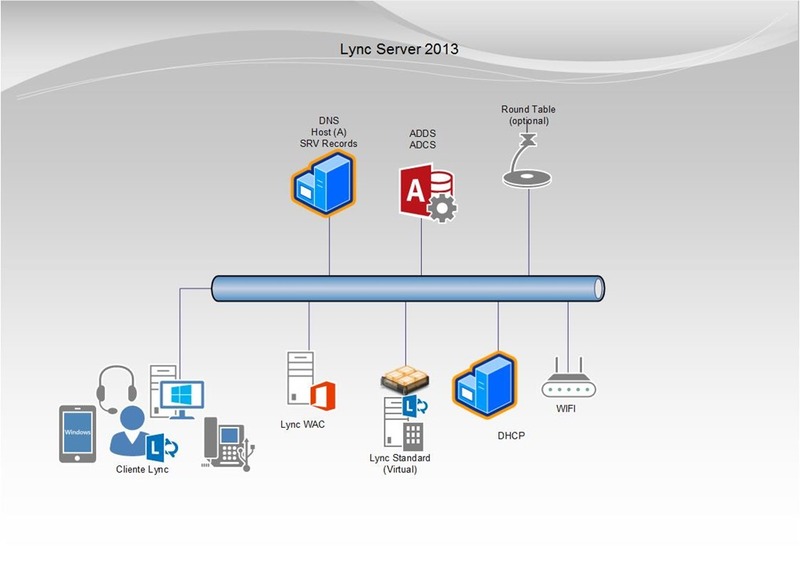 By peterdiaz33 in Lync on 26 abril 2013 . Pues yo veo exactamente igual el antes y el después. Gracias. Hola la diferencia básicamente esta en los punteros del servicio para UCWA, un saludo. Gracias por la aclaración? requeriste certificados para los moviles? ya que aunque yo la le instale certificado, sigue mandandome el mismo error, ya sea 2010 o 2013, el detalle es que externamente si conecta (red celular) e Interna no (wifi) y pues mas curiosamente si uso un cliente externo como el Wync funciona perfectamente en ambos casos. alguna idea? Por otro lado Wync no es un cliente oficial de Microsoft, en este caso solo aplica el cliente Lync 2010-2013 para Android, Iphone, Ipad y Windows Phone. 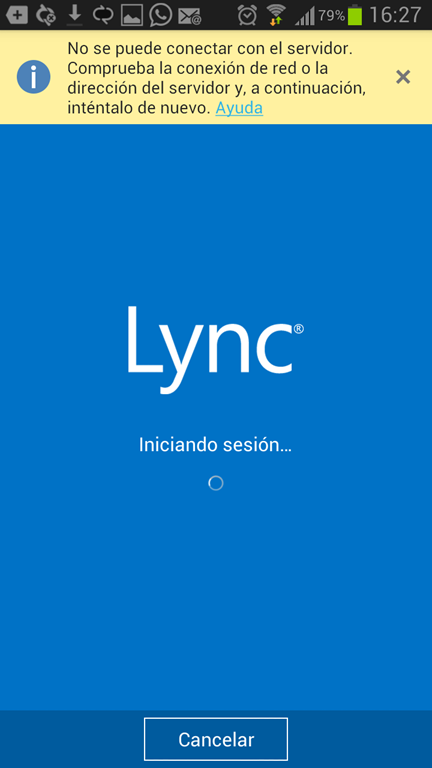 Hola… Tengo un MS Lync 2013 pero solo uso interno, no publicamos hacia fuera de la corporacion y no podemos conectar ningun dispositivo movil con Lync Mobile 2013. En mi caso, como deberia realizarse? 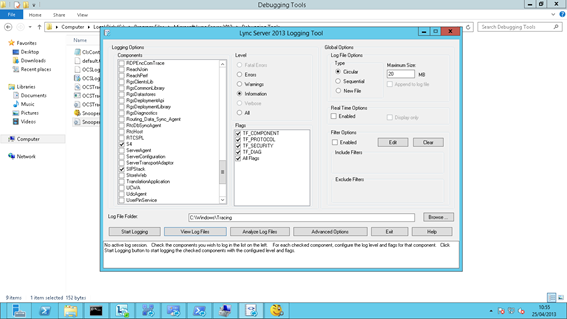 Tengo Lync 2013 solo en la red interna. No publicamos hacia fuera. Los usuarios internos que conectan sus dispositivos moviles con Lync 2013 no conectan, pero si con 2010. Como podria resolver este tema para redes internas. Hola si usas certificados internos y los ha renovado, tienes eliminar los anteriores e instalar los nuevos en cada dispositivo para que puedan conectarse. Debes de instalarlos también en el proxy reverso.